My post Weight Watchers 2017 has over 200 comments and growing because people want to share their experiences with the program and each other. I have read all of them and there are reports of a loss of privacy at meetings. Do you have to weigh yourself in front of everyone at meetings? A few commenters mentioned this and I can’t believe that WW would make that obligatory. 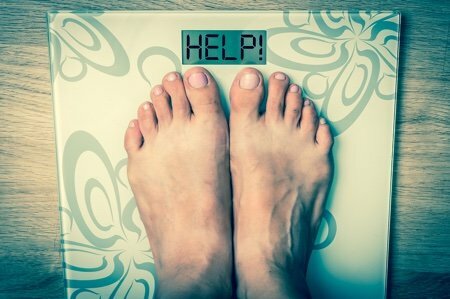 Many of us, especially ones of us who are self conscious about how much we weigh, have trouble getting on a scale at the doctors office – forget a room full of people that we may or may not know. Is that true? The Weight Watchers meeting near me closed – so I can’t test it for myself without driving for 45 minutes. Another theme in the comments is that members feel that Weight Watchers went too far with Smart Points and cutting sugar. Many feel that the new plan is not doable because sugar is such a “no-no”. On the other hand, Weight Watchers is probably following the latest research that indicates that SUGAR IS THE PROBLEM. No, I don’t like it but I do think that we eat way too much sugar and almost all of us could benefit from cutting down on how much we eat. The issue with a diet plan like WW is that most people would have a tough time going from the amount of sugar they are currently eating to the recommended amount (almost none) in one leap. It might be best if there was a ramp on to the program to help with the low sugar transition. Finally, I wonder if the emphasis on saturated fat is a good one. Obviously, we can’t eat bacon every day but it seems that the cut in sugar and saturated fat makes it really hard to have a treat on the diet. What do you think? Please share how it is going and whether you are able to stay on plan? I find I have no more difficulty with Smart Points as compared to Points Plus. That may likely be because of the types of foods that I choose to eat and that there isn't a significant difference for me. Eating less sugar is a healthier lifestyle and that's what I aim for. I'm a lifetime member, at goal. When I track I find it easy to maintain but lose track quickly when I stop tracking. I then find myself eating foods that are higher in fat and sugar than when I pay attention to what I put in my mouth. It seems the busier I am in my life, the less I pay attention to my wholesome diet. I am a Weight Watcher leader and I can assure you that every weigh in by members is very private! Diets don't work. All of the science shows that almost everyone gains weight back after going on a diet. Dieting is incredibly unhealthy. Then -- your setpoint continues to go up and up and you get fatter and fatter. I recommend Intuitive Eating and HAES, it is the only thing that works. Just like any other weight loss program. If you work the plan, the plan will work for you. I'm a lifetime member for 7 years now. I started Weight Watchers for the first time about 9 months ago. I joined because of the new program as I knew I had a problem with sugar. I only had 20 lbs to loose and got goal in 5 months. Now I am teetering on whether or not to continue going as all I can think about is the scale and not going 2 lbs over and have to pay. It's driving me crazy. At the place where I go you get on the scale in front of everyone in line but no one can see your weight. She writes it in your book. Not said out loud. I became a lifetime member 5 years ago. I learned 2 very important lessons from WW....Portion control and how to stop eating when I was satisfied, but not full. I no longer count points, but am now still within 5 lbs of my setpoint. I think the new WW is right on track with the sugar issue and hopefully helps break our addiction to sugar. I think a ramp up to reduce sugars would have made it easier for me to stay on Smart Points. The drastic change felt too much like just another restrictive diet. Though I now make a big effort to reduce my sugars, I have switched back to PP using iTrackBites. Sugar is addictive. Reading current information about this while on WW will help you understand it's role in sabotaging any weight loss. WW has got this one right! I also am a 5 yr. WW lifetime member. Portion control and track. Our country has become a nation of sugarholics and trans fats addicts thanks to our food industry. Sugar is making us fat and VERY unhealthy. Look around you. It's time to go back into the kitchen and COOK real food. Make the time. Throw everything that comes in a box into the garbage. Yes, even the stuff that WW peddles. It's important to get yourself and especially your kids off the snack train. I lost 25 pounds 2 years ago on points plus...eating healthy with planned treats...I gave myself a "by" one Christmas and fell off the wagon. I'm having a hard time with points plus with no sugar. Eventually, in diet mode I curvature way back on sugar naturally but it's a gradual thing. I now im totslly discouraged went back to points plus fake plan and but having a hard time getting back to tracking. i laughed at your comment about not eating bacon everyday as I had just read this article. Many are now doing exactly that and losing weight! Weight watchers may actually be on to something.....no sugar and high fat actually works for weight loss! I admit that I did not like Smart Points when it was introduced, but sugar is very addictive for me, and this helps me keep that under control. I still have some sugar, but far less than I normally did. I focus more on fruits, vegetables and protein to keep me satisfied during the day. I stay away from as much processed food as possible, and I don't buy the WW boxed food either. At our meeting, there is a separate room to weigh in. There are 2 people weighing at a time, but it is still private. I have never had to be in front of the whole room of people to weigh in. I quickly lost 30 lbs on smartpoints and have maintained that loss for a year. I had and still have sugar issues. Would I have rather sat down with a fork and a carrot cake? Youbetcha. I no longer track points but keep a running list in my mind! I know what I can and when I can eat certain foods. I do treat myself on occasion. I weigh daily and get in my fruits & vegetables on most days. I was committed to losing the weight that had crept up over the years and I am committed to keeping it off. My last blood labs came back with fantastic numbers and I want to be around for a healthy long time! I have done very well on ww at my meetings they do not tell anyone or let anyone see your weight that is your decision if you tell people . and if you do your research there is sweet that are low points out there . you may have to change your eating habit a little but that is with any way you choose to lose weight .what i like about ww is it is not a diet it is a live time change and you can eat anything just not as much .but you need to choose healthy and better choices to really lose weight .meaning is that bag of potato chips worth keeping pounds on or that baked potato better. Appreciate reading comments posted....I joined online early February and have lost 15 lbs....another 10 is my goal. I like the online version a lot and find the "connect" feature inspiring when I feel not so motivated. I like the program and am using it as a ramp to further reduce my sugar intake. I am 65 so I've lived many years loving sugar but the literature is so damming that this is my way of endeavouring to be as healthy as I can. So I give WW Smart Points a thumbs up! I am currently an online only member. Also have been a lifetime member working to get back to my perfect weight(a weight higher than WW goal is listed but approved by my physician). The plan works. Tracking is a must including weighing and measuring of foods. I spent the week before Easter thinking I was doing ok and not measuring....significant weight gain. Back to being diligent this week. I find no trouble fitting in treats. I do have less pastries because that is a gross waste of Smart Points. WW been in my eating life for probably 40 years..back when liver was required once a week!...I enjoy the program and I don't suffer at all except when I do not pay attention to myself. I have been a member for 9 weeks and I have lost 14.6 pounds! I have lost at least a pound every week! If i hadn't splurged on Easter candy I would have made it to 15 pounds this week😕 I love the new smartpoints as it really highlights the foods you should avoid by giving them high points values. I really feel that this will stick with me and help me avoid the sugary treats in the future. Nothing is off limits, if i really want a high point treat, i track it and make it work by eating fruits, vegetables, and turkey breast. The meeting weigh ins are what really keep me motivated. I love having that paper with my loss to look at. We wait and line and then go up to weigh in behind a barrier wall. It's not in front of everyone, and they never announce your weight out loud. Sometimes you can tell by the people's reaction if they lost or gained, but you can certainly ask the employee to be discreet if your worried about privacy. I think the meetings are really helpful if your serious about losing weight. I never talk, and don't wear my name tag...I just listen! And it helps! ALL WW sites should be uniform regarding weigh in. No one announces your weight. However,you know if someone is paying, that they are over goal weight. I find that embarrassing. Been a Lifetimer for 18 years. Recently, I'm over goal weight and I think twice before going to meeting to avoid the weigh in due to embarrassment. Why can't we be weighed in cubicles? The lines are so,long that we miss the meeting.